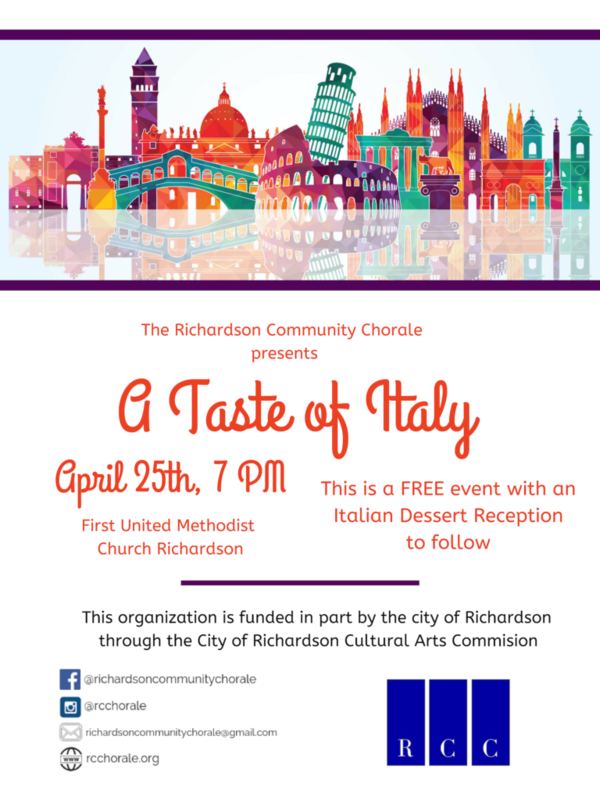 Richardson Community Chorale – Sing for Joy! If you would like to join the Chorale, make a donation, or have other questions, please find our contact information here. When shopping this spring, please consider using smile.amazon.com and registering The Richardson Community Chorale as one of your charities. For every eligible purchase, Amazon will make a donation to the Chorale!